Golden Home Inspection: What is a Pre-Delivery Home Inspection (PDI)? What is a Pre-Delivery Home Inspection (PDI)? A Pre-Delivery Home Inspection is a chance to completely familiarize yourself with your new home and learn how to control its systems. It is essentially a vital element of your new home purchase process, simply because it gives you the chance to document any apparent imperfections and/or spoiled objects proceeding to your occupancy. Additionally, general components, as described in the declaration and explanation, will be examined, promptly, immediately before the home is registered. When Should A Pre-Delivery Home Inspection Be Conducted? You are about to become the proud owner of a new home. It’s an exciting time. But before you have the keys handed to you and you move in, there is an essential step to go through: the pre-delivery inspection. Whilst your new home is mainly finalized and about to be lived in, You will contact Home Inspector Mississauga to set up an appointment for Pre-Delivery Inspection (PDI). This is at the time when Golden Home Inspections comes to rescue you. Home inspectors from golden home inspections will be present who will fill out a report or checklist to keep track of every one of the defects. What Actually Happens During The Pre-Delivery Home Inspection? Home Inspectors will meet up at your new home and will walk you through your new home room by room, top to bottom, inside and out. They will inspect the surfaces of structures, exterior defects, roof systems, Mississauga building code compliance and so on. The disagreement could arise as you possibly will remark a chipped floor tile as soon as you move in and there is no way to verify whether it was here before you moved in or happened at the time of the moving. The PDI is the perfect time to learn the accurate operation and maintenance of your new home's mechanical ventilation system. Right comprehension of your ventilation system helps control your indoor atmosphere condition and defend your new home warranty. Sadly, defects caused by property owner’s neglect are not covered under warranty. If we are implementing the Pre-Delivery Home Inspection at some stage in the winter months or unfavorable conditions, we might not be able to completely evaluate the outside of your new home. Don’t worry! We will make a memorandum on the inspection form about the objects that we possibly missed (or could not see), and record especially the things that are not fulfilled. 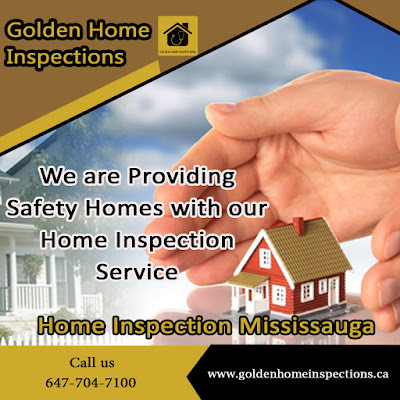 If you have any questions concerning about the Pre-Delivery Home Inspection, please visit www.goldenhomeinspections.ca or Call us on 647-704-7100 and Mississauga Home Inspector will gladly talk to you.